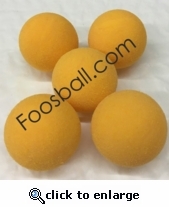 The official yellow urethane foosball of the Warrior tournaments. A very grippable ball, and a true rolling ball! Quantity is for one ball.